The second generation of the Bkool Smart Pro, our best-selling smart trainer. Now quieter. Telescopic legs ensures stability at all times, even during the most intense sprints. Noise level: 68 dB at 30 kph. 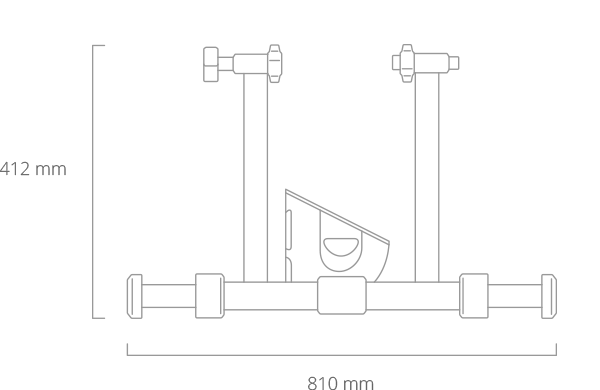 A conversation ranges from 40 to 80 dB. Bkool trainers are the only ones that simulate inertia. Smart adjustments on slopes. No assembly or calibration required. The wheel adjusts to the hub. Folding swing arm and weight of under 12 kg. Disassembly into two pieces. Bkool Smart Pro 2, the evolution of our best-selling smart trainer. Ride any route in the world, train with hundreds of friends from all over the world and take part in professional workouts in the most complete cycling simulator! Our exclusive technology recreates the weather, time of day and sensations you would have at that time along the route. If you prefer to ride a route as if you were there, activate the video option. Youâ€™ll enjoy a first-person recorded view of the route. Donâ€™t ride alone. Join users from all over the world live. Create your own routes and compete in them against other Bkoolers. World-renowned expert trainers have designed our workouts to help you achieve your goals. Ride structured workouts from home and train like an expert. Bkool can connect to Strava, Garmin Connect and TrainingPeaks. Your workouts will sync automatically on the various platforms so nothing gets lost. Keirin, elimination and pursuit races. Enjoy a different type of cycling with games and classical races accompanied by other riders. Real-time. Instantly view your ride data whenever you need it most. View averages, prepare for upcoming climbs and see the strength of the wind. Work out now with no limits with the Bkool Mobile app. You just need your mobile to work out in ERG, Slope or Free mode. 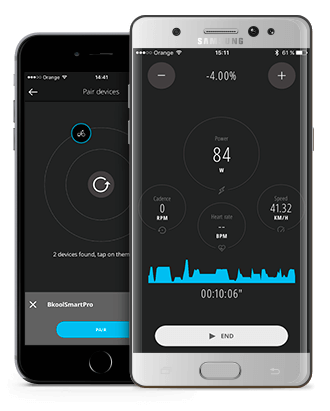 Pair your Bkool trainer with the app and you can start pedalling right away! Pick when, how and where to work out on your trainer.